He founded the World Toilet Organization. Here is some background about him and the organisation taken directly from its website. Since 2001, Jack has been involved in sustainable sanitation efforts all over the world. He was a founding member of American Restroom Association and was invited to launch The German Toilet Organization in Berlin in 2006. 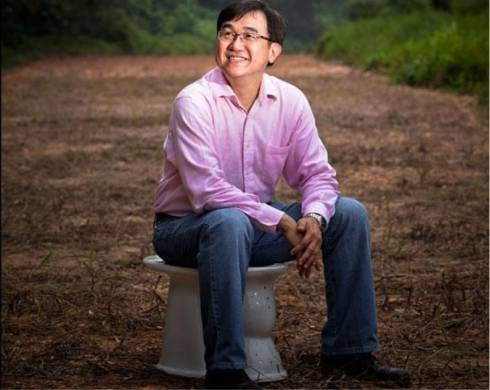 In 2007, Jack became one of the key members to convene the Sustainable Sanitation Alliance comprised of over 130 organizations active in the sanitation sector including UN-Habitat, UNESCO, UNICEF, UNDP, and the World Bank.He heads its Asian Secretariat in Singapore. He also sits on the World Economic Forum’s Global Agenda Councils (GAC) for Water Security and the GAC for Social Entrepreneurship. Jack has received many honours and accolades for his work over the years. In 2004, Singapore’s National Environment Agency awarded Jack the Singapore Green Plan Award 2012. He was named Social Entrepreneur of the Year by Schwab Foundation of Switzerland in 2006 and was also the Asian Development Bank’s Water Champion. Time magazine named Jack Hero of the Environment in 2008 and in 2009, he became Channel News Asia’s Asian of the Year. In 2011, Reader’s Digest named Jack Asian of the Year and most recently, he was named a Synergos Senior Fellow 2013. Jack is also an Ashoka Global Fellow and a Schwab Fellow of the World Economic Forum. Health, dignity and well-being to all through sustainable sanitation. Improving sanitation conditions for people globally through powerful advocacy, inventive technology, education and building marketplace opportunities locally. 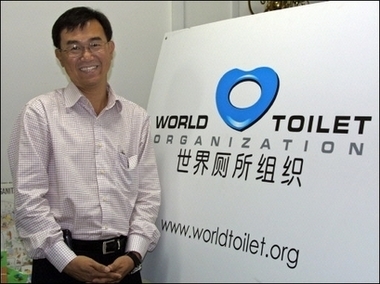 The World Toilet Organization was founded in 2001 as an international platform for toilet associations, government, academic institutions, foundations, UN agencies and corporate stakeholders to exchange knowledge and leverage media and corporate support in an effort to influence governments to promote clean sanitation and public health policies. The WTO declared its founding day on November 19, 2001 as World Toilet Day, which is celebrated annually worldwide and is geared toward raising awareness on the state of toilets and sanitation. The World Toilet Summit (WTS), organized annually by WTO, has been hosted in Singapore, Bangkok, Moscow, Philadelphia, Beijing, Belfast, Hainan, New Delhi, Macau, Seoul, Shanghai, Taipei, and Durban. WTS 2013 will be held in Solo, Indonesia. World Toilet College was started in 2005, which is a joint venture with Singapore Polytechnic and provides high quality training in topics related to toilet design, maintenance, and sanitation. SaniShop, a social enterprise franchise model which began in 2008, trains the poor how to produce and sell small affordable sanitation systems below $40 per family with the support of the Bill & Melinda Gates Foundation, the Rockefeller Foundation, Lien Foundation, Unilever and the Singapore Economic Development Board. 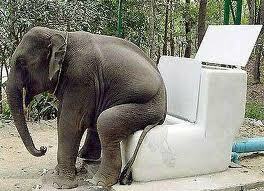 Here is a video previewing World Toilet Day 2012.